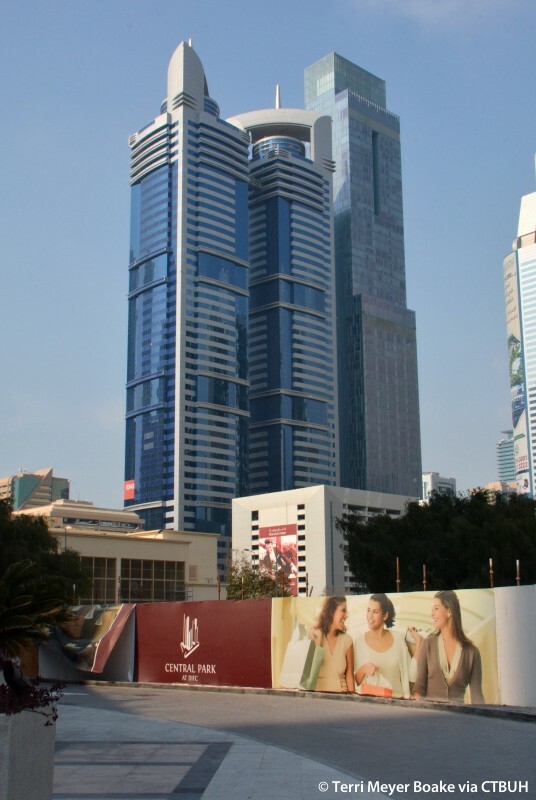 Rolex Tower is a situated on Sheik Zayed Road, one of the most prominent streets in Dubai. 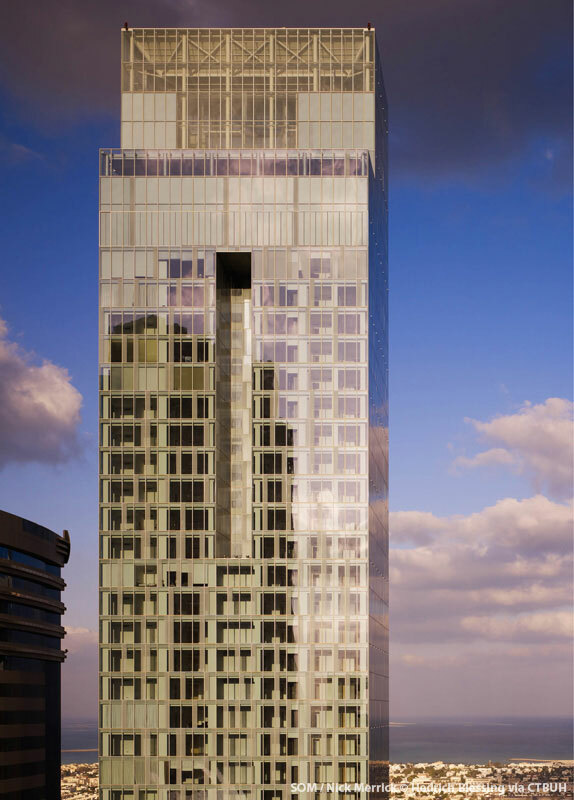 The tower includes both commercial and residential programs, consisting of 30 floors of office space, 25 floors of apartments, and is capped by two residential penthouses. 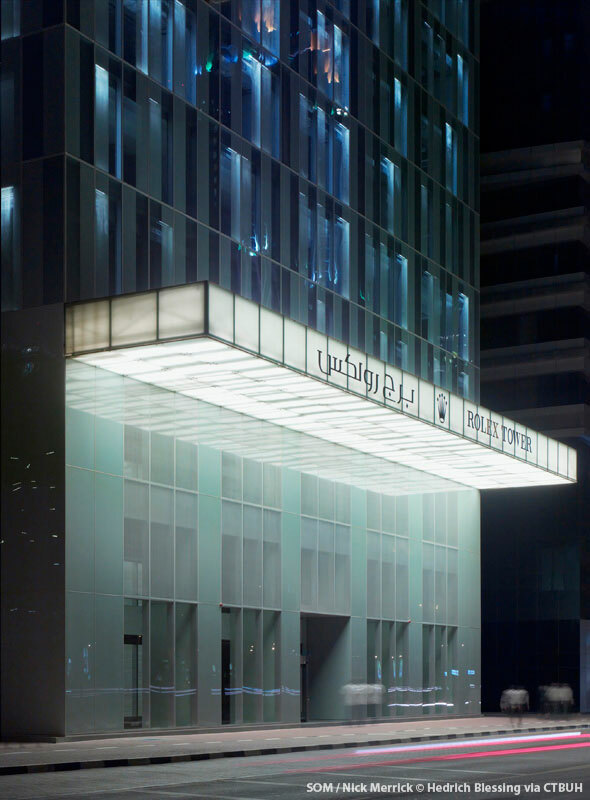 A 9-story parking garage and entrance plaza located behind the tower provides direct access to the building’s lobby. 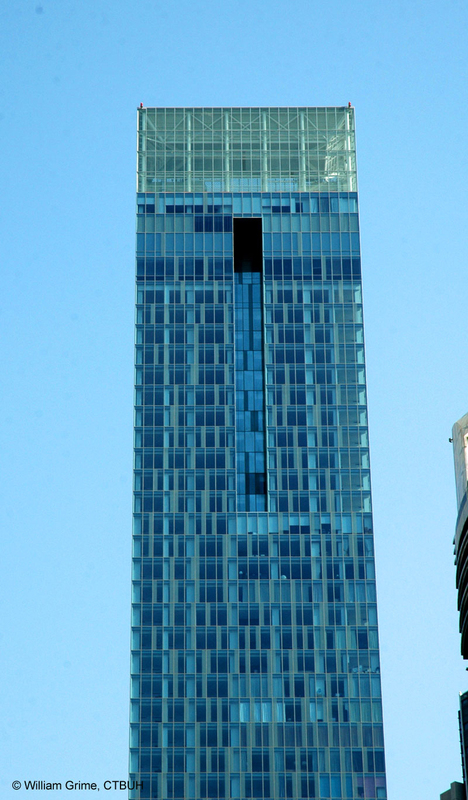 The building is veiled in a high-performance curtain wall of patterned green glass which fades as it ascends, further expressing the height of the tower. 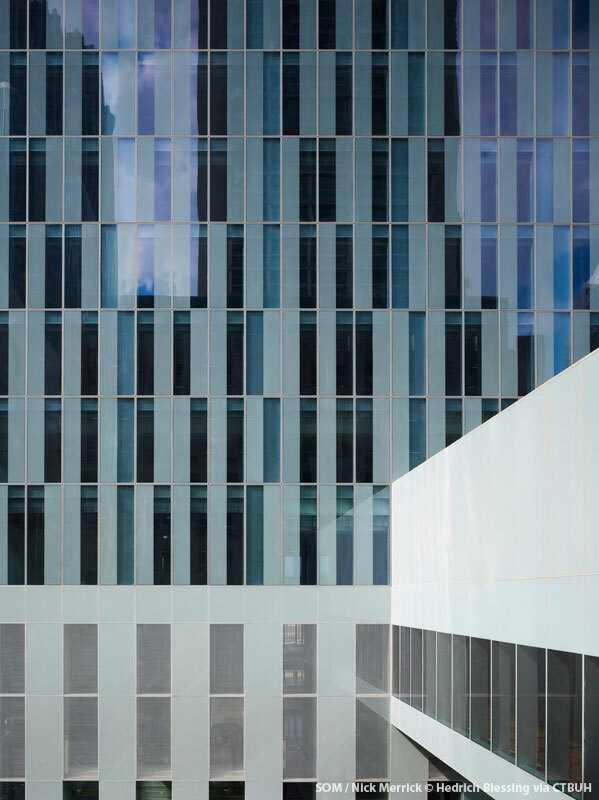 The glass cladding consists of ceramic frit patterns which gives the façade its highly distinctive character. 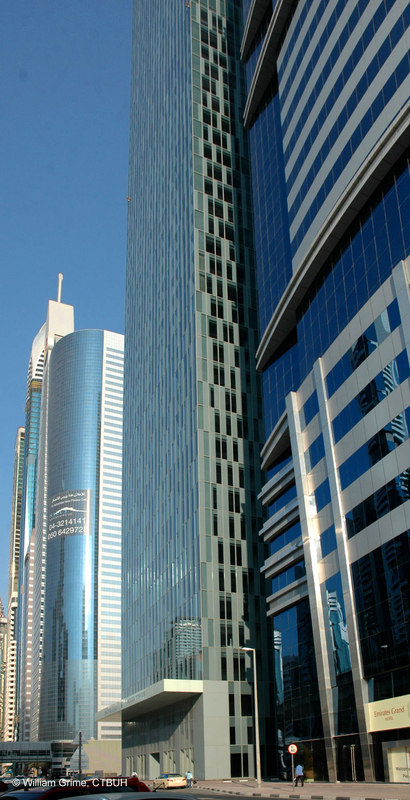 The frit also serves to reduce solar gain within the building and provides shading from the sun, crucial in Dubai’s desert climate. 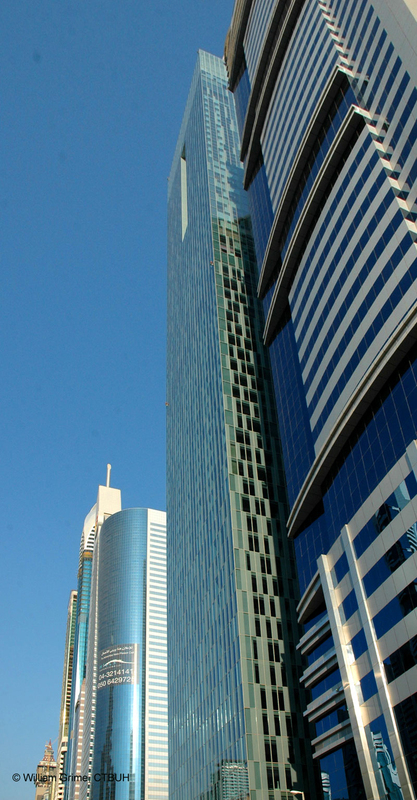 Rolex Tower embodies understated elegance amid the exuberant context of the “urban street wall” along Sheikh Zayed Road. 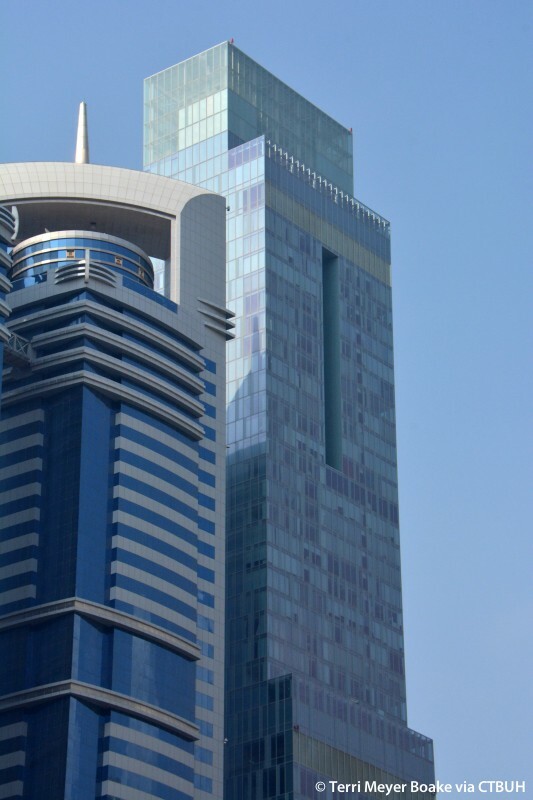 The relatively small site dictated the design of the tower along with its close proximity to adjacent buildings. 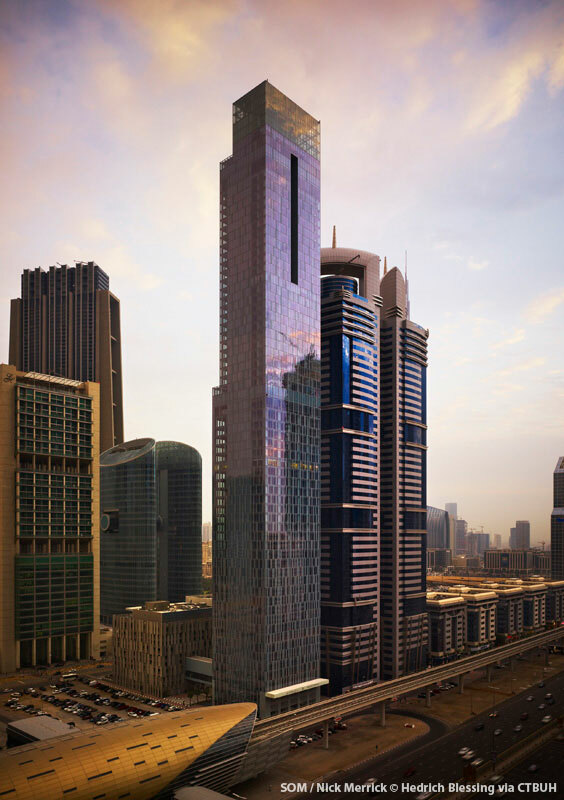 The architects addressed the tight urban site by stacking offices, residential units, and amenities, creating the refined columnar shape of the tower. 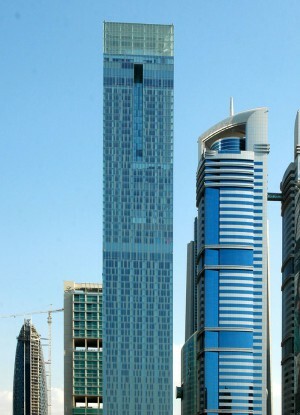 The three-tiered massing expresses the change of uses in the program and creates a unique presence on the skyline. In order to accommodate a very tight urban site, the building’s structural system was designed to be tall and narrow, with a very small footprint relative to its height. 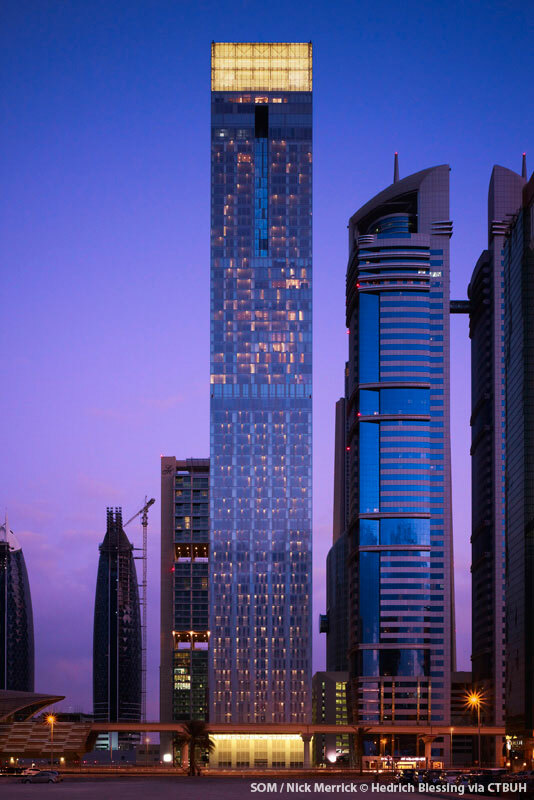 The tower’s structural systems are a composite of concrete core walls, columns, and precast concrete floor slabs, with reinforced concrete outriggers and belt walls at the mechanical levels. 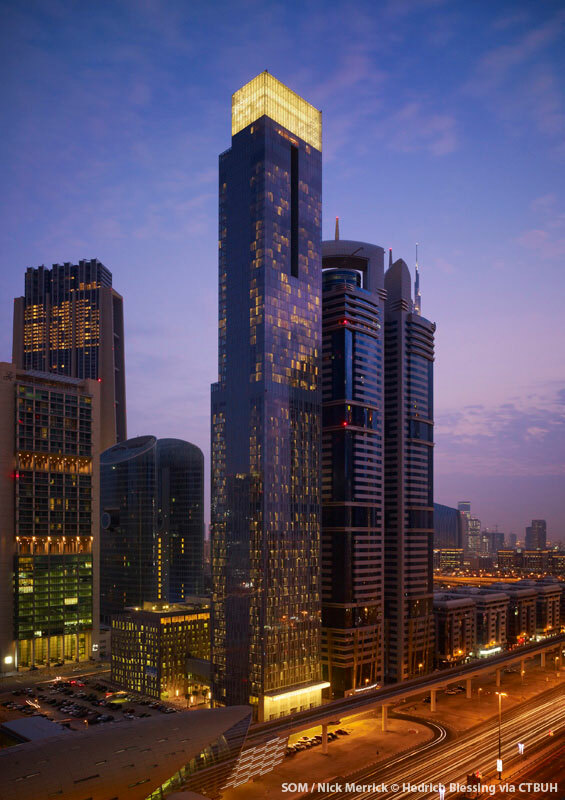 The building’s foundation system consists of a raft supported by deep, reinforced concrete bored piles to support the height and narrow body. 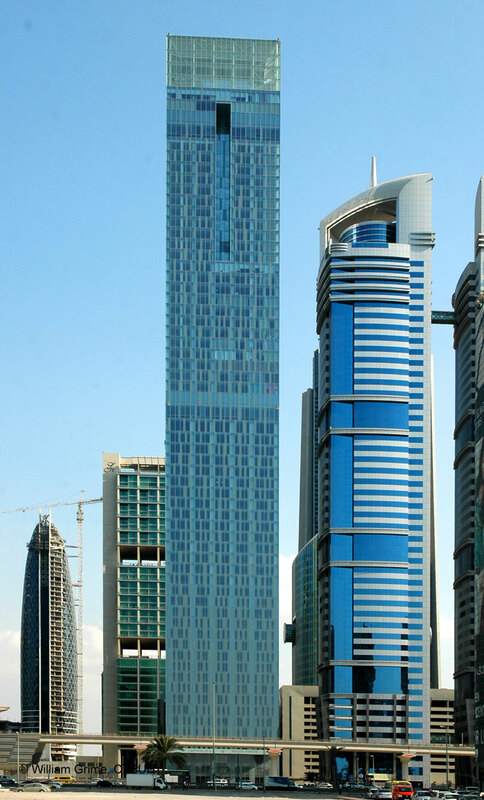 Rolex Tower consists of a series of “smart systems” which control the building’s energy use. 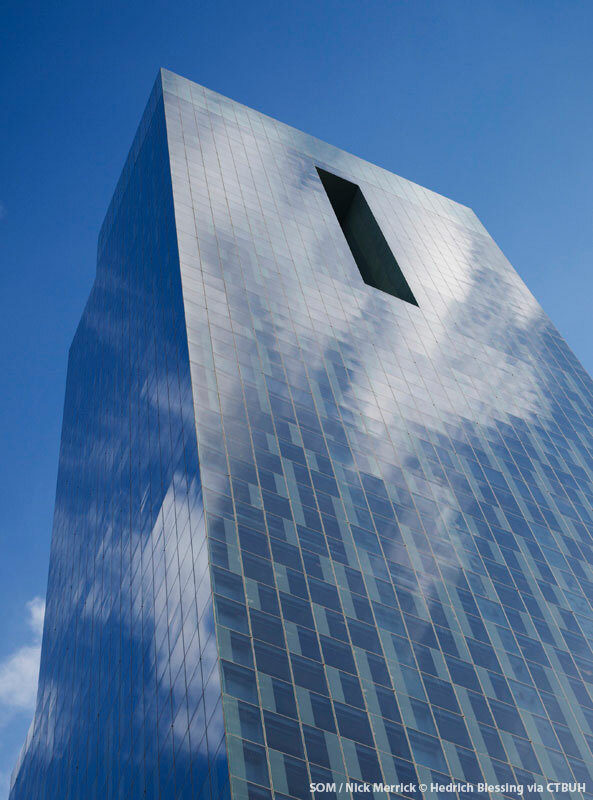 In addition, the exterior glass reduces the heat load and consumption, filtering daylight and providing a balance between the highly progressive transparent glass—which keeps out the sun while allowing for views unobstructed by tints or colors—and patterned glass, allowing natural light to enter the building. 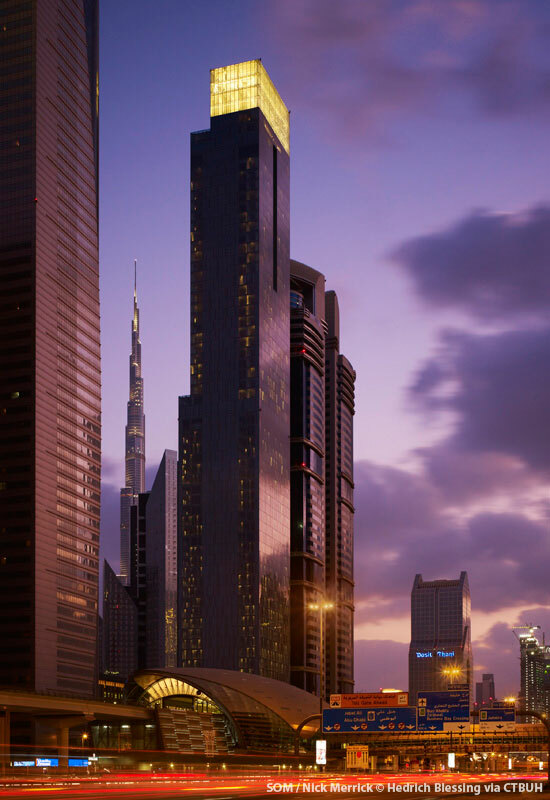 The interior program of Rolex Tower responds to the mixed-use nature of the project. 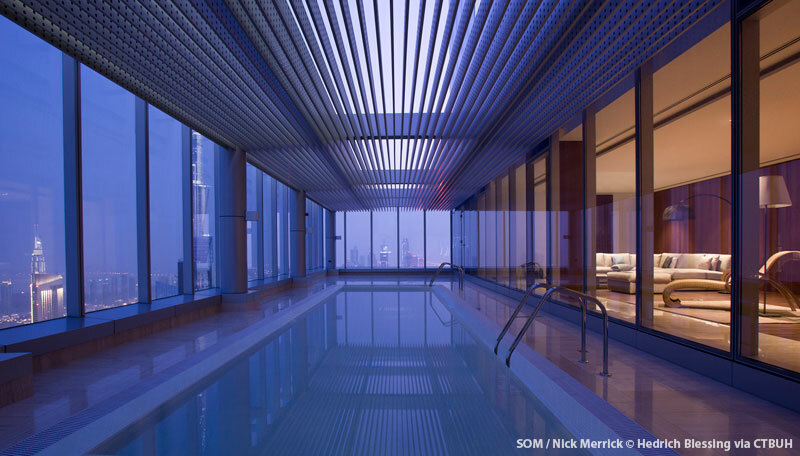 The building has two ground floor lobbies—one leading to the residences and another to the commercial space—and both are branded relative to their respective purposes. 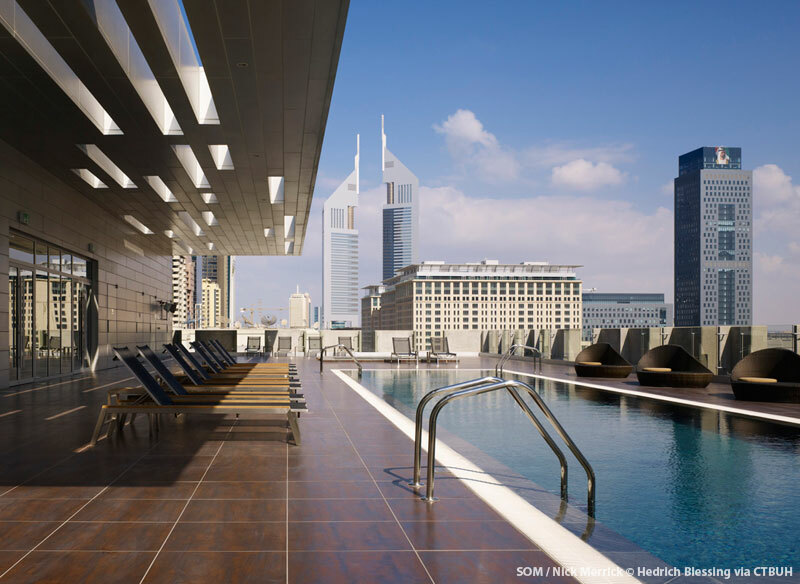 The commercial lobby is grand yet minimalist, with high ceilings and a quiet atmosphere. The residential lobby is a private space for residents and guests of the leased apartments. 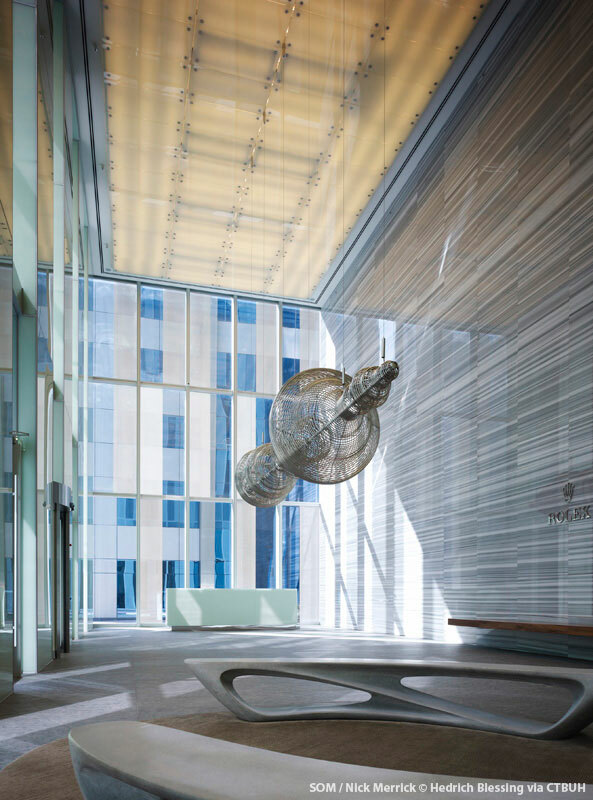 Art components were integrated into both lobbies, including a piece by James Clar called “Soundwave” located in the commercial lobby. 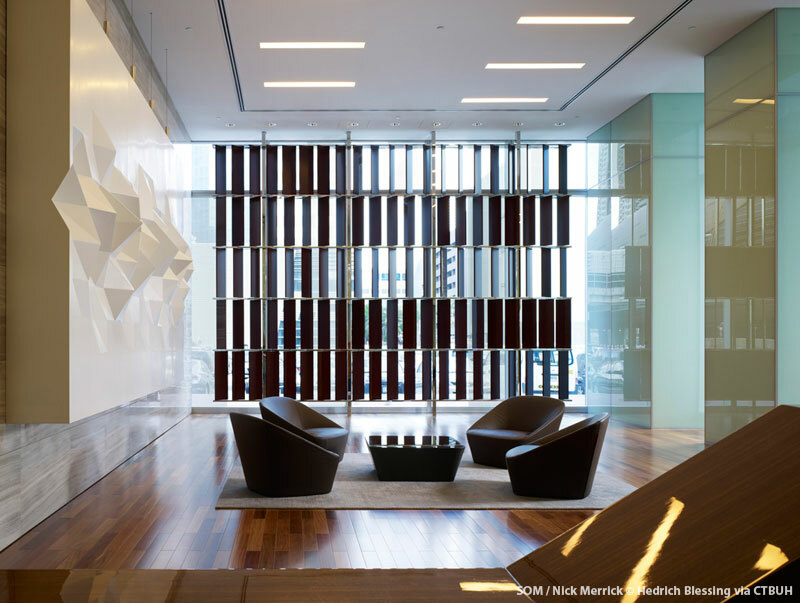 The residential lobby features a modern geometric wall installation which greets visitors immediately upon entering through the front doors. 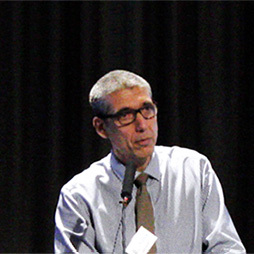 CTBUH Brisbane held their 2016 Summer Seminar in conjunction with the ASCE. The topic of discussion was "Design of Tall Buildings."